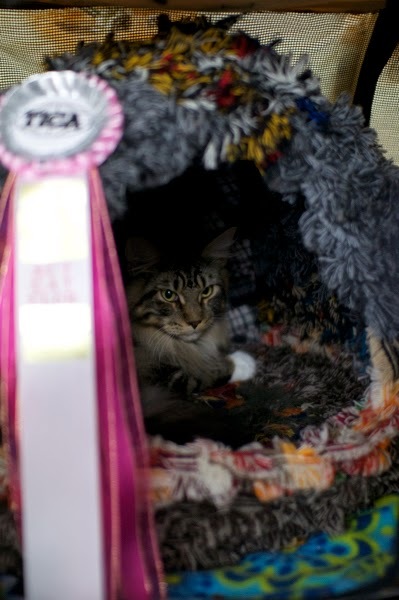 Shonancats Juliet joined us last Dec. is now 8 months old and we decided to take her to the TICA & ACT Cat Show. The show was held at Bunkyo-ku, Tokyo on Sat. and Sun. She has been out only for few times so everything she saw and heard was a brand new thing! 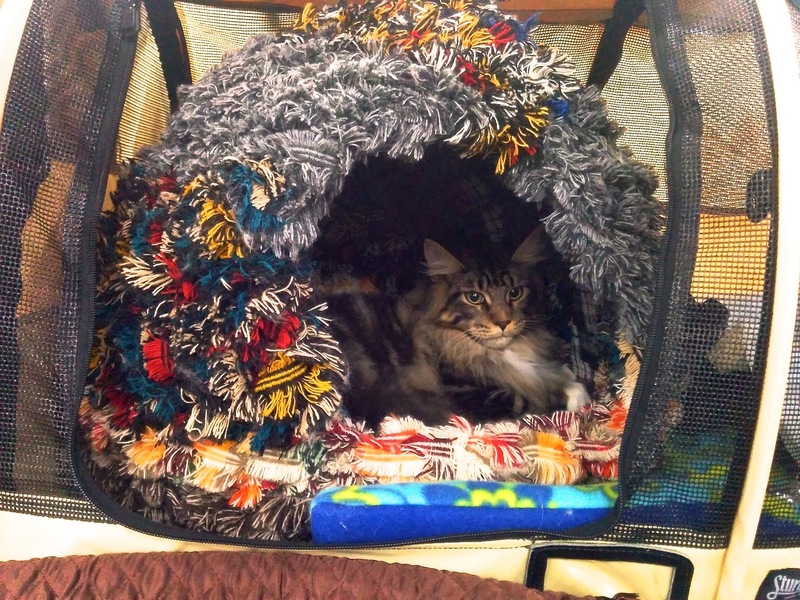 The noise, smell and meeting many kitties were a whole surprise to her. Even though, she did very well. 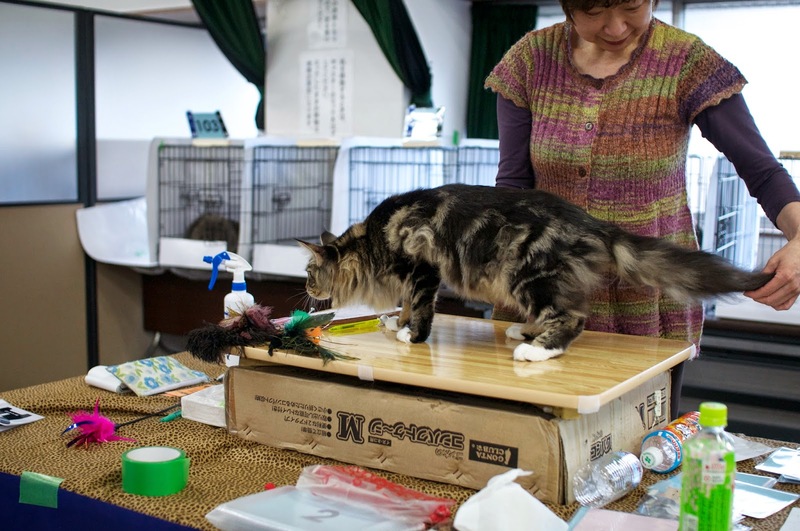 At Hamano Judge's ring, she showed her curiosity towards the teaser. 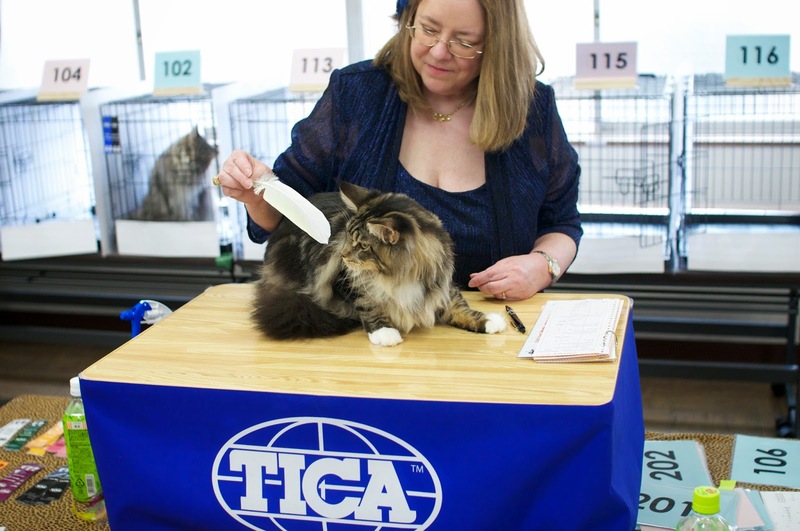 This times guest Judge was Ms. Lorraine Shelton form California, USA. 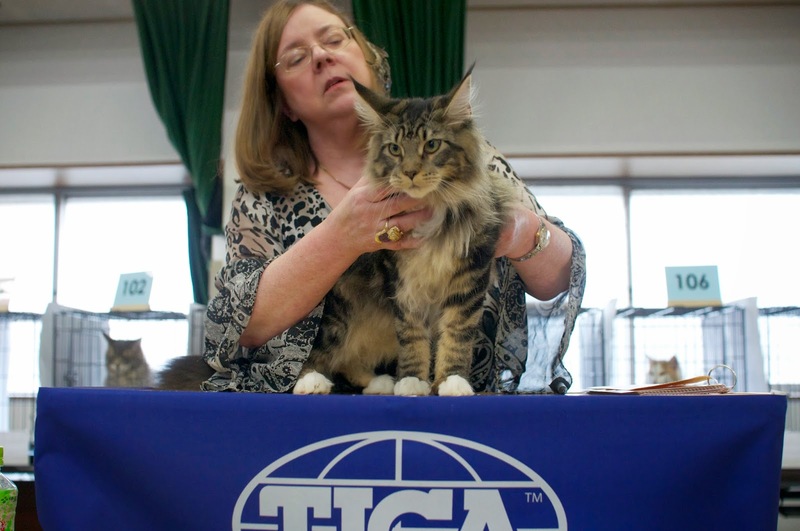 She is the Approved Speciality Judge and also a Norwegian Forest Cat breeder. Also was a Persian Breeder for long time. I am sure that Juliet was really fluttered but was trying to show her best. She is a quite boy looking girl which is the thing I love and I had a chance to see that on the judging ring! At Tomonari Judge she was also showing her interest toward the teaser. Sure two days show was a long time for Juliet. She really performed very well. She finally got 5 finals out of 15 rings. 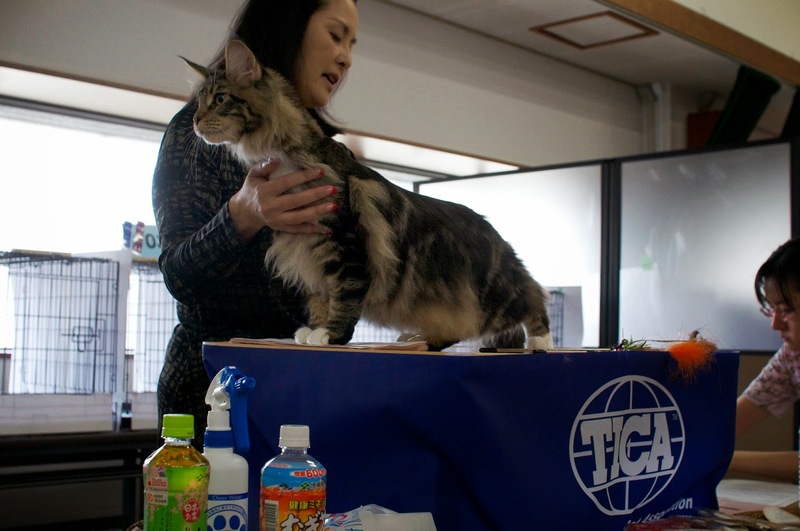 There were 4 MC at the Champion class and all others were very big and heavy boys. Not only this, but also considering the annual year end, it was a great result. She got a title of Champion and with one more final she can became the Grand Champion. As a girl, we don't know how far she can go but would like to challenge a bit more. Many thanks to the Show committee, Judges and the exhibitors for holding this wonderful show. 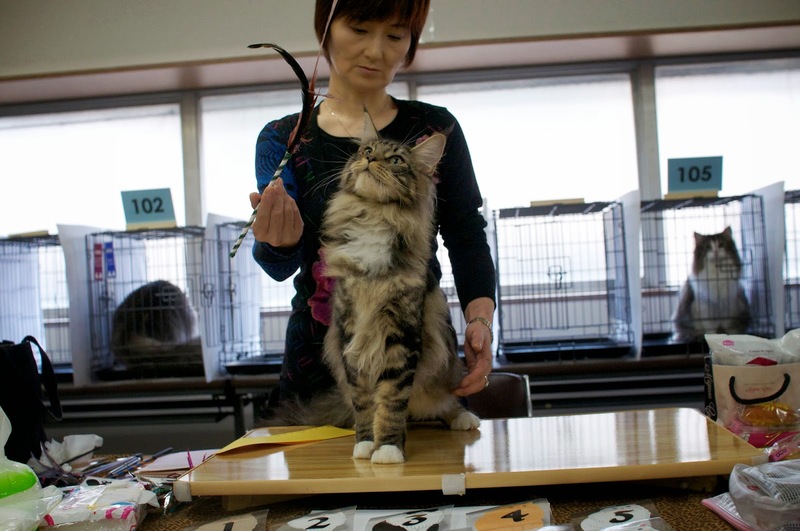 And we really thank Ms. Ryoko Doi of Shonancats for letting us have her. Juliet did her best. And thanks to Juliet for being with us, you are great! The white feather that Ms. Shelton is holding in her right hand is from Hawaii. She founded at the backyard when she visited her parents there. 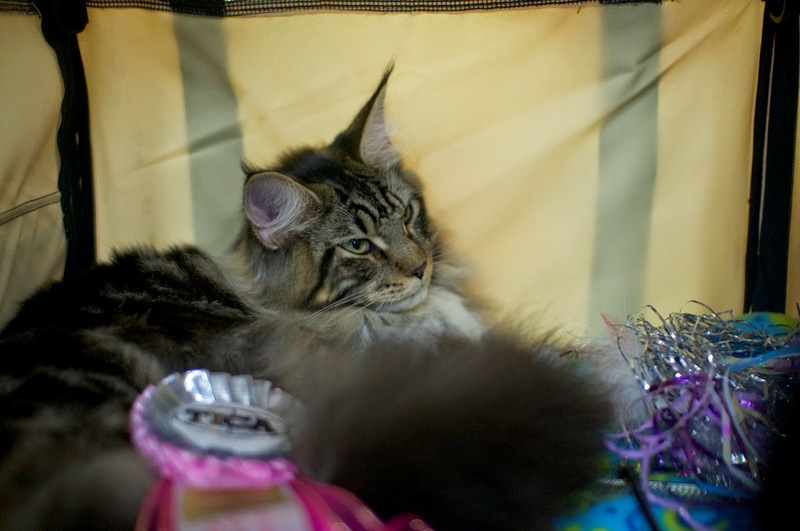 According to her, the size of it looked perfect for the kittens and the fluttered cats at the judging ring. 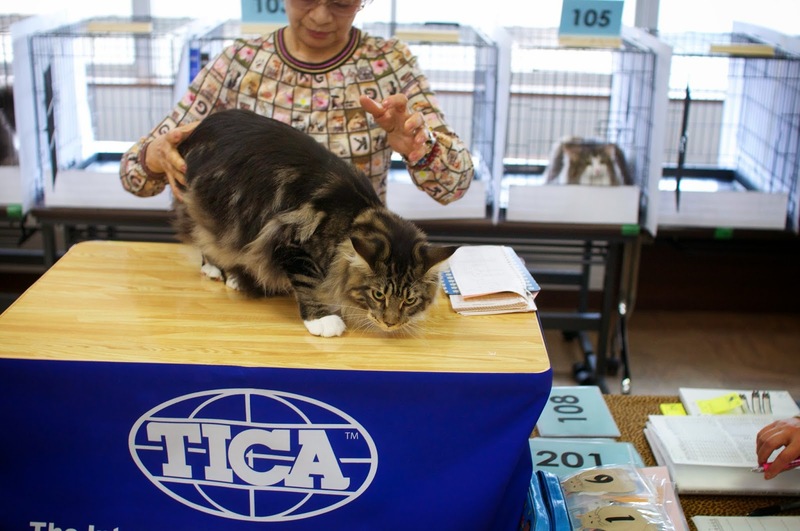 Also the shape of tip, which is round may not scare them and let them enjoy being at the judging table. 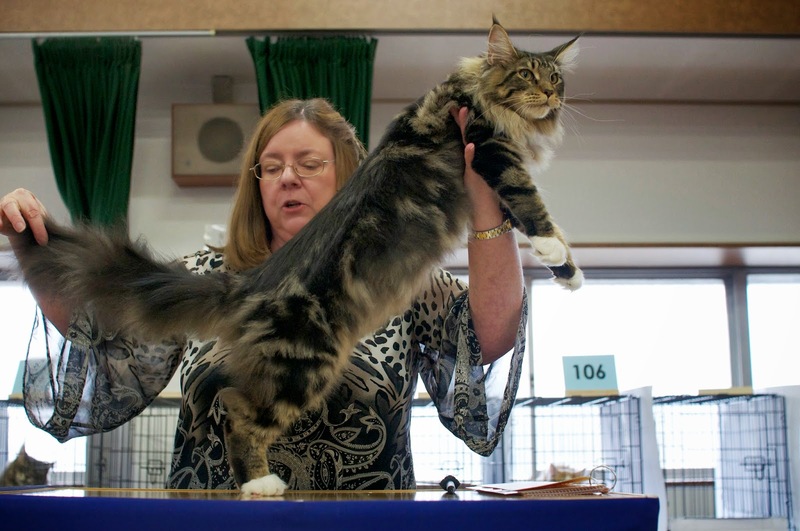 Good and fun experience may lead a kitten/cat to enjoy the show and let them become a good performer! Very nice idea and also is a fun to hear that some teaser has their own background story!